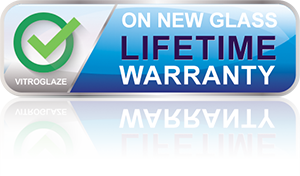 We offer a life time warranty on New Glass. BALUSTRADES & EXTERIOR WINDOWS – Due to the lack of contaminates that are usually present in a shower, we have found that the general rain is enough to wash airborne contaminants from the exterior surfaces. If anything remains sticking to the glass, usually a soft brush or cloth is enough to remove and rinse again. Dry with a towel for a great shine. Applies to applications on old glass, new tiles, ceramic and other surfaces. 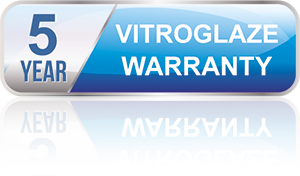 Because Vitroglaze is a permanent treatment, it will last well beyond the 5 year warranty period. Our tests show that after 15 years Vitroglaze is still 82% effective. the 5 year warranty term. Please check with the your Vitroglaze coating applicator for Warranty Terms.